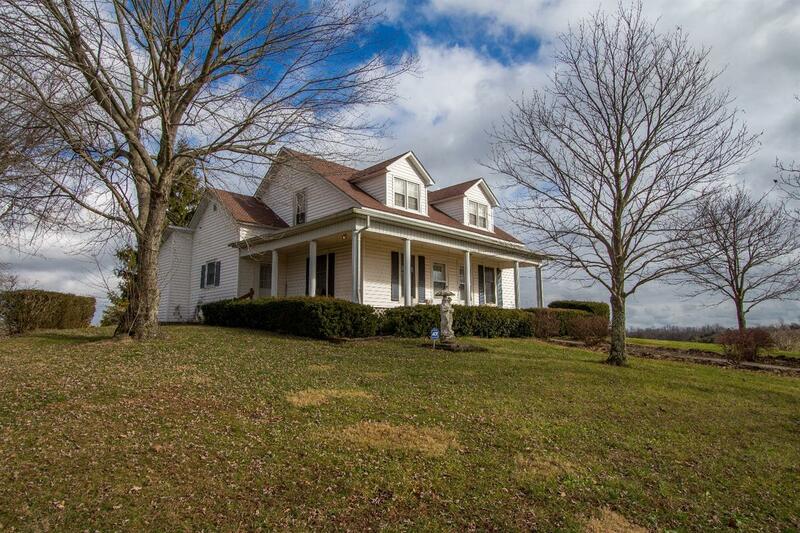 Surrounded by rolling farmland, check out this beautiful Harrodsburg, KY home situated on over 12 acres! Boasting vintage character and charm, this classic farmhouse includes over 2200sf of living space with 3 sizable bedrooms and 1 full bath. The updated kitchen opens into a large dining area and features generous cabinet space and stainless steel appliances! The house also includes a main floor living area, separate utility room, second floor study, and a spacious walk-in storage area! The back sunroom is filled with natural light and could also be utilized as a mudroom with an additional storage room. Behind the house sits a spacious, 1700+ sf detached shop/garage with concrete floor and water/electric! Attached to the shop is a large run-in shed, great for equipment storage! The rural location is peaceful with abundant wildlife, however shops, restaurants and major highways are just a short drive away. Schedule your showing today!